My work space at home is a room of its own – it’s a second bedroom turned into a study, where I have a desk, a reading chair, and a couple of book shelves. This room houses the nonfiction shelves and lit mags. It’s nice to be able to get out of bed and be at work without leaving the house. It’s also really hard. It’s hard to not do the dishes mid-morning, or watch some TV over lunch (which then turns into an afternoon of TV). It’s difficult to concentrate on anything for a particularly long period of time when the rest of my life creeps in, because the place I work is amongst my life. It’s all tangled up in the messiness of living. The washing and the dinner and the laziness of lunchtime. The lure of bed on bad days, the ease of slipping into loneliness and sadness when the only person I see is my secretive neighbour whose blinds snap shut each time I spy his face. Working at home can be isolating, and it gives my mind every opportunity to sink into the troublesome parts of myself. Last year I benefited hugely from having a space to work away from home, in the lab at uni. I left home in the morning, taking my work with me, and when I came home I had permission to relax. While I was in the lab I saw people – I was able to ask them how their work was going, and offload my own worries or struggles. Together we’d celebrate the little victories – a chapter completed, a discovery communicated. Perhaps these kinds of relationships are unique to well-matched research groups. Perhaps it’s silly to try to recreate it. I can, however, hope to recreate the good habits and healthy attitude of leaving the house to work. 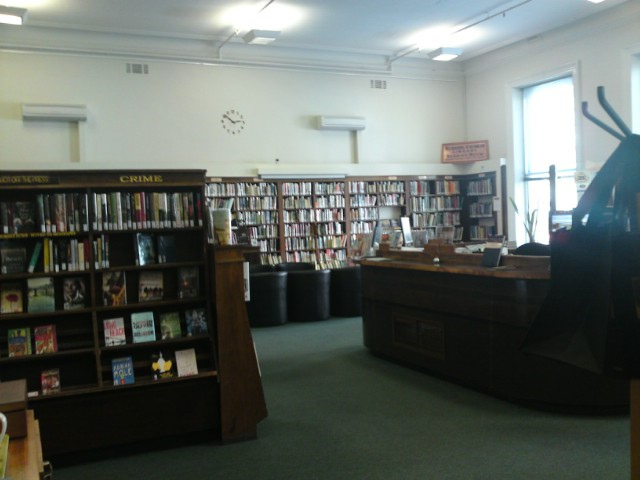 I’ve just opened a membership with the Athenaeum Library – a subscription library above the Athenaeum Theatre – where I will try to work at least three days a week (as employment allows, which it totally does at the moment). It’s a serious place, full of dark, wooden furniture and paintings of bearded men on the walls; there’s something oddly comforting about its masculinity. It’s quiet here; silence broken intermittently by chatter amongst friends. I’ll still work at home once a week, at a treat. I’ll allow myself that day to potter around between working, and I’ll accept that. My mind feels open today – brighter, energised, ready to make something. It’s not any easier to write, but it feels less easy to get discouraged. And that’s something. Reblogged this on The Pen Hustle.